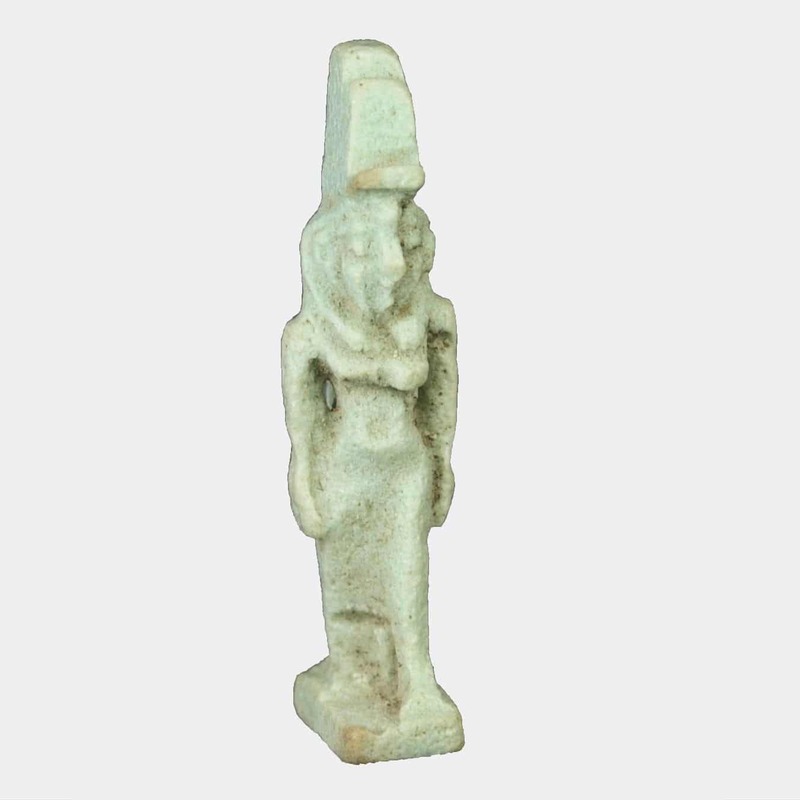 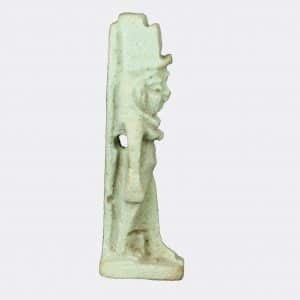 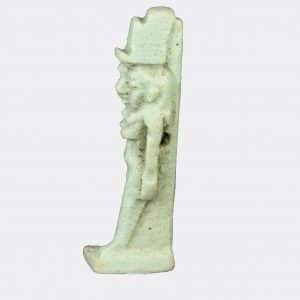 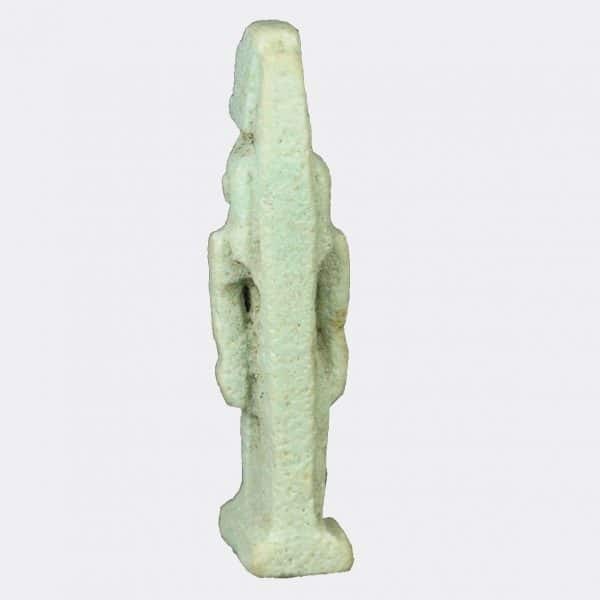 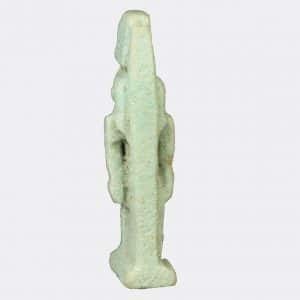 A small pale blue glazed faience amulet depicting the goddess Isis. Ex. 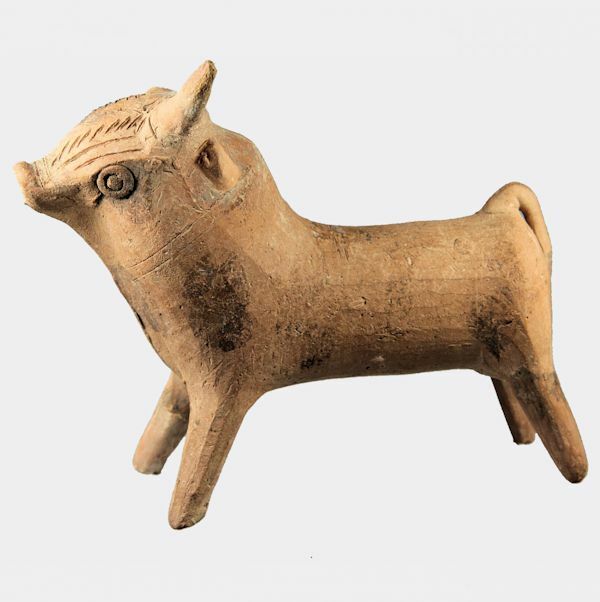 private collection, Chippenham, Wiltshire, UK; acquired late 19th or early 20th Century.